Kinjal’s concern grew as she made her way toward her neighbour. She saw Sarasi carrying two large pots: one in her arms and the other balanced strategically atop her head. The young woman was a hard worker; Kinjal couldn’t fault her for such. Still, she was troubled by what she saw. She stopped in front of Sarasi and carefully hoisted the water vessels from the young woman’s care, fully feeling the weight of the transfer. The water vessels Sarasi had carried were full, heavy enough for any able-bodied woman to struggle with—and Sarasi was pregnant. Not a single nurse or doctor could be found among the 1,500 people in Sarasi’s village, yet the lack of medical help hardly concerned the general population. Along the dirt roads that wove through the thatched-roof homes in the village, lived superstitions and misunderstandings about health care, especially concerning pregnancies. Some people thought getting a checkup from the doctor would result in worse health after taking all the medicine they received, while others were simply afraid of receiving shots or swallowing prescription pills. Some women feared that iron supplements taken during pregnancy would cause the baby to grow faster and hurt the mother in the process. I regretted the situation we lived in because none of us had the knowledge or information about how to take care of a pregnant lady. A lack of knowledge about general health and hygiene also caused many people to get sick. Some worked outside all day in the intense humidity and wore the same sweat-drenched clothes for several days at a time, without taking baths. In the homes, surroundings were often dirty, and food could be found uncovered, inviting insects and other critters to a feast. 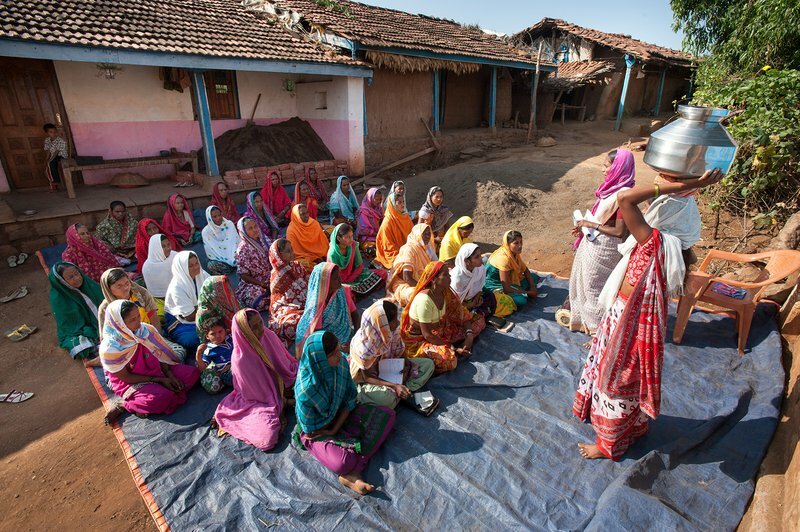 In light of their neighbours’ living situations, Kinjal and her husband, a GFA-supported pastor named Rahas, recognized the crucial need to conduct a health care training seminar for the women in their village. One of those women was Sarasi. Sarasi and her husband, Cholan, were both believers and were married for five years before they had their first daughter. A few years later, Sarasi became pregnant again. Like many women in her village, Sarasi didn’t know how to take care of her body while expecting a child—nobody taught her how. Visiting the doctor for a pregnancy check-up was unheard of in her family. Being a hard worker, Sarasi often carried heavy loads that strained her body, and she knew little about the importance of day-to-day cleanliness in the home, including the simple act of hand washing. Sadly, unawareness led to Sarasi’s eventual miscarriage during her second pregnancy. After I lost my child in my womb, I did not doubt God nor was I angry with the Lord. Yet in their time of grief, Sarasi and Cholan found comfort in the encouragement of their neighbours, Kinjal and Pastor Rahas. Sometime later, Kinjal invited Sarasi to attend a health care training seminar in the village, led by the local Women’s Fellowship. During the training, approximately 30 women learned how to take care of themselves and their families, including little ones growing in the womb. Sarasi and the other women were taught how important it is for women to visit the doctor and take prescribed medicines, and to put fewer, less physical demands on their bodies when they are pregnant. They also learned simple ways to keep a household clean and free of germs and dangerous bacteria, such as tossing out stale food. Taking these precautions would result in healthier families. While the training taught Sarasi how to take care of herself and her family, it also provided more than health care advice. After attending the event, people began to notice a change in Sarasi’s character. Her demeanor became friendlier and she cared more about others. She grew in maturity, and she quarreled less with her husband. Sarasi and her husband are very grateful for the health care training that was held in their village. Their family is healthy now, and it’s growing: The Lord blessed Sarasi and Cholan with a baby boy not long after the training seminar. The proud parents know their son is a gift from God. Trained workers help Women's Fellowships function and get proper training to teach villagers things like good health and hygiene. Would you consider equipping a woman missionary to help women live a healthier and more hopeful life? Thank you!